Introduce game dynamics like leveling up and earning badges into your classroom to boost student engagement. Playing games is fun. Some people pour hours into games without complaint, whether it’s shooting 200 free throws or completing a guild raid in World of Warcraft over several hours. 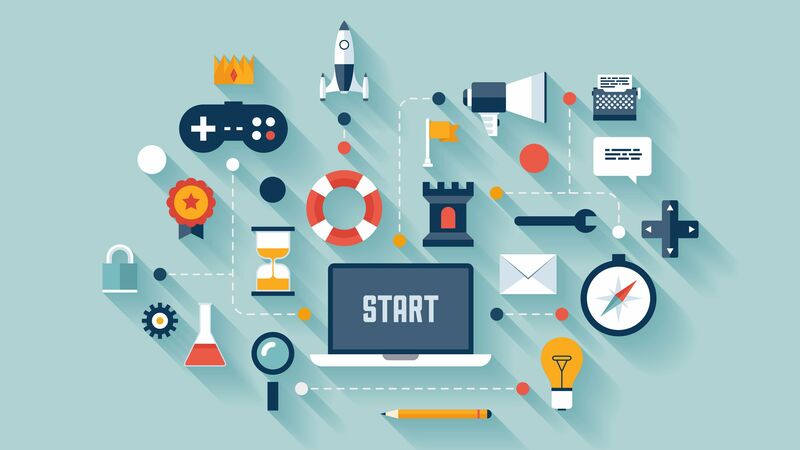 You can tap into that kind of engagement through gamification—applying game elements to non-game environments to encourage higher participation and motivation. A simple example is a hotel chain, airline, or credit card reward system, where points earned offer customers perks like free rooms, flights, or upgrades, or other amenities. What if you could do something similar in a learning curriculum? What if each student could choose to do additional skill tasks, readings, and experiments? Gamification can create this opportunity—and can allow for differentiation as students choose which of the additional elements they will take on. The key is to gamify learning experiences with the right combination of game mechanics. Here are some of my favorite mechanics for building engagement and learning. Create a leveling chart that shows students the amount of experience points needed for each level. Experience points are earned by completing required and optional tasks, or by earning achievements and badges, or by participating in free play and special events, all of which are described below. Students also earn experience bonuses for sharing innovative contributions that benefit the entire class. Experience points help students reach a required level, at which point they are eligible to take on a boss challenge—a key assessment. Do not include experience points as part of students’ course grade—doing so can inflate grades. In place of extra credit points, the appeal for students is that they must earn experience to reach the target level that opens up the boss challenge. A boss challenge is a major or key assessment, and students must reach a certain level to attempt each one. For example, on reaching level five, students may attempt a section assessment. Students must complete all required work to reach the level. You can create a boss challenge with several difficulty levels within the curriculum outcome, depending on each learner’s needs. The teacher might offer two or three versions from normal to difficult to insane, to meet the needs of all learners. Achievements and badges require learners to spend more time on practice and exploration of lesson outcomes. They are non-competitive ways for individuals to explore areas of personal interest and push themselves to accomplish the required goals. Students can earn achievements for attaining specific levels, trying out a new skill for the first time, reading a number of articles or books, or demonstrating skills like collaboration or creativity. Badges require students to complete multiple tasks. For example, an author badge might require students to go through two revisions of their paper, each peer reviewed and each containing at least one major change or improvement. A scholar badge may require extra readings, or posted reflections based on optional content videos. Badges support differentiating for students’ skill levels because they are tiered. Students who complete a foundational badge or achievement in science or math are ready to move to a more complex option. Advanced learners can start on the badges or achievements that will stretch them. Ultimately, students choose what they want to accomplish. My favorite games are so-called open sandbox games like Minecraft, Terraria, and Guild Wars 2. Players build and explore where they choose without the constraint of following a storyline. They create their own narrative. With that concept in mind, you can create differentiation by having a massive choice board or learning menu where students pick the tasks they want to do. For example, prepare eight to 15 options about a science or math concept or an informational reading standard. Enhance the differentiation with a mix of articles, videos, story problems, and writing prompts. Allow students to choose the tasks they will accomplish. Each completed task earns experience points for leveling up and opportunities for special achievements and badges. Students will likely spend more time doing extra work in and outside of class than they would normally. Offer time-limited events around your curriculum so that students can earn bonus experience points and unique achievements and badges. Events can be tied to content reviews, learning stations, or makeup homework. Offer optional activities such as live webinars, school or community arts performances, or a museum showing. The key is that the event should directly tie to the curriculum. Students should be able to earn experience points, achievements, and/or badges as part of the event. Game replay is an important gamification feature that strongly supports the diversity of learners. Gamers know that beating the boss sometimes takes multiple attempts. Even in the professional world, where a test is required for certification to practice law, accounting, and teaching, for example, multiple retakes are allowed. Proficiency is all that matters. Educators know that students learn at different paces. Learners who do not succeed with an assessment should have the opportunity to replay the boss challenge. Sometimes the retake turnaround is immediate, and other times reteaching or a set of study tasks (achievements) must be completed before a student makes another attempt at the boss. Ultimately for student achievement, proficiency is all that should matter. Gamifying a lesson or longer learning experience provides powerful differentiation opportunities to support achievement so all can learn. The best way to start gamifying is to try it with one lesson. Having gamified whole courses, I recommend starting small—try developing some achievements and badges. (Find more game mechanics at Badgeville Wiki.) If you are concerned that students might not do work if they’re not earning extra credit, establish experience points and levels. As in open sandbox games, adding one game mechanic at a time can transform your classroom. Contact me with your questions or share in the comments below. Take the plunge—excite and amaze your students.